I think one of the biggest and most asked questions we have gotten so far in our almost two month deputation journey is “what do you have to do before you can move to Haiti” and the other most asked question is “when will you be moving to Haiti”. Well first let me explain what the big word DEPUTATION means. It’s kind of a strange word but in the missionary sense, it means that we have been commissioned by a ministry/organization to raise our support/funds so that we can move to another country. Once our funds/support have been 100% raised, we will be out of the deputation process and will be moving to the mission field as missionaries. Well, what about the NOW, what about the time period between when we are called to be missionaries and when we ACTUALLY move to Haiti? What goes on then? How do we get from point A (present time) to point B (moving to Haiti)? PRAYING! No joke, like never before, because we cannot do this without Him and want His guidance for every single step. Connecting with friends/family & businesses who want to hear our story and find out more about supporting us financially. We have learned missionaries TODAY raise support much differently than missionaries years ago. Years ago it was mainly through churches, but now it’s mainly through individual families signing up to be monthly financial supporters. We have 10 individual families and 2 businesses as monthly supporters so far. That is what we are constantly praying for, for God to connect us to those that He wants to use to be His hands to send us. Connecting with friends/family who might connect us with their church so that we can come and speak at their church hopefully and/or have them partner with us to be one of our monthly financial supporters to help send us. Writing and sending out via snail mail or email, newsletters and updates for our supporters. Meeting with pastors at churches to share our story and see which ones God uses to be the hands to send us. So far we have met with 4 pastors, have spoken at our home church and are scheduled to speak at 2 more churches in the coming months. Staying connected to God! We’ve been trained and told and with our research as well, that this time of raising up the funds to move into the mission field, can be one of the most exhausting and busy times of your lives, so it’s very easy to focus so much on the ministry of GETTING into the mission field, that you don’t stay as close and connected with God as you should, so we are trying hard to make sure that doesn’t happen. Trying to find the balance of life HERE and preparing for life THERE. So many things to do in the “waiting” like deciding when to put our house up for sale, thinking about our housing over there, when to put our cars up for sale here, when to buy the necessary one-time moving items needed for over there, and what to pack/not pack for moving. Reading, reading & more reading! Lots of reading that our organization has given us to do before we move. Once we get to a certain percentage of raised financial support, we will go down to Florida for culture training as well. Jim already knows quite a bit of Creole and will continue to study it. April knows some basic Creole and will be starting Creole studies in January through Haiti hub online. 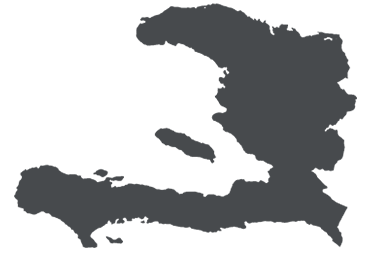 Once we move over there, we will have 6 months of daily creole language study with one of the Haitian translators with our organization. We will continue to do these things until our organization has let us know we are 100% raised, which means we have family, individual, business & church monthly financial supporters who altogether equal the full amount we need, to live over there each month. Right now we are a little over 15% raised. Our goal is to move over there as quickly as we can because we are needed as quickly as we can get there. So as soon as it says 100% we will be moving. We are hoping by this time next year or sooner but it just depends on when the support comes in. Hope this has helped you all understand a bit more of what is happening RIGHT NOW in our journey of moving to Haiti! Feel free to connect with us anytime with questions you have.